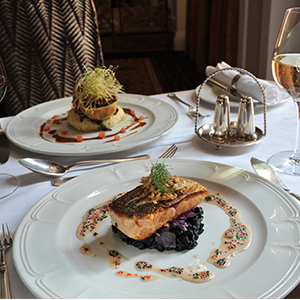 The Livingstone Room was also included in The Daily Meal’s inaugural 2012 list which is compiled by experienced international travel editors and in liaison with the famous Michelin Guide. 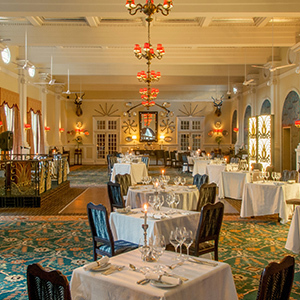 The opulent Livingstone Room consistently sets the benchmark for fine dining in Africa and features a la carte and a seven-course degustation menu and dancing to a live band. Whilst the Livingstone Room reflects the century-old hotel’s style of grandeur and opulence, the dress code (previously tie and jacket) has been relaxed to smart casual, sleeved collared shirt and closed shoes for men for the convenience of guests in this more relaxed modern era. Strictly no safari wear, shorts, sandals or sneakers.